Heather H! Connie will send you your prize. I hope everybody will join me for another round on Wednesday. I love seeing all of your creations with Connie's products. 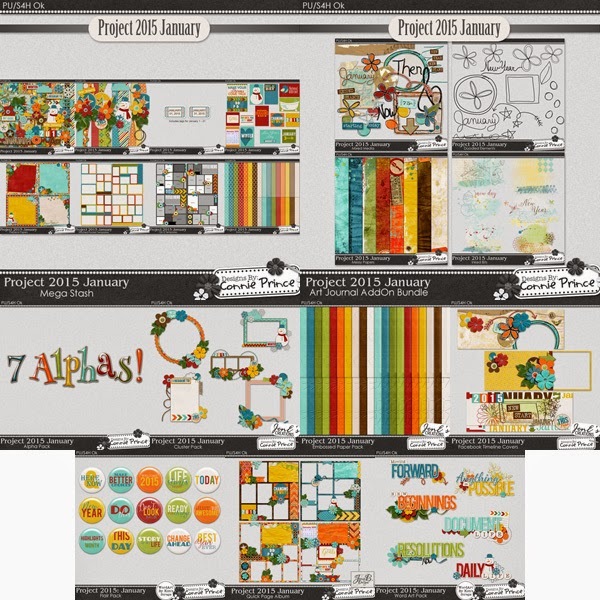 Connie released the first installment of Project 2015. I love the colors that she chose for this kit. There are so many different pieces to this kit. You can get the mega stash for $7.99 or get the products that you like the best. You can get a closer look at what is available at GingerScraps, GottaPixel or ScrapbookBytes. Last of all is your freebie. 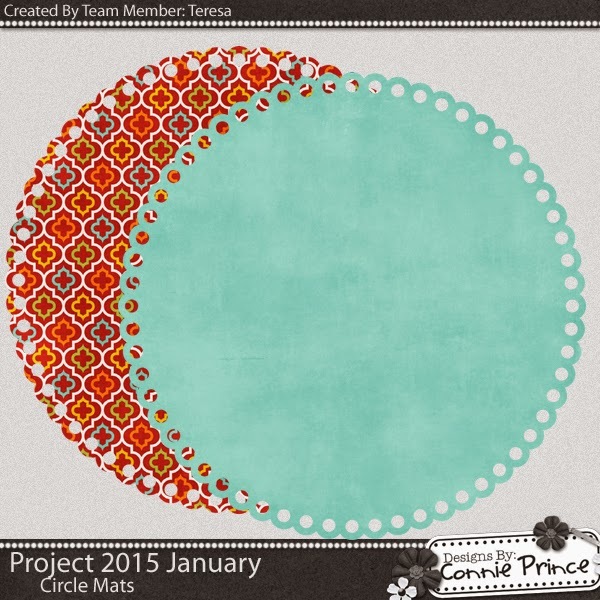 I used Project 2015 January to make some circle mats. You may download them HERE. I love the artsy portions of the Project 2015 collection. Thank you for sharing the mats!